On April 24, 2013, the Rana Plaza building in Bangladesh collapsed. 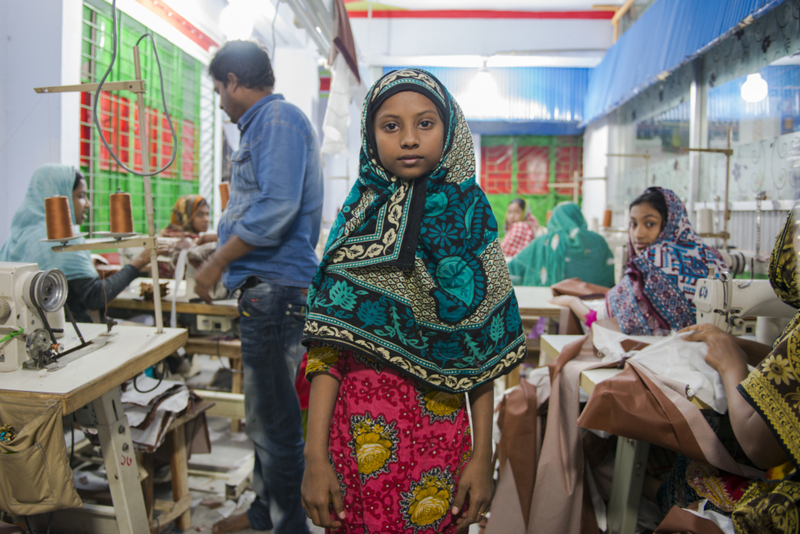 The Rana Plaza building was home to five garment factories that produced clothes for major fashion brands. According to Fashion Revolution, 1,138 people died and another 2,500 were injured, making it the fourth largest industrial disaster in history. The victims were mostly young women. 80 percent of the people making our clothes are women ages 18-24, the same demographic of young women who buy and consume fast fashion. We need a Fashion Revolution because we need to connect the dots and recognize that advocating for a fairer fashion industry, is in actuality, a feminist issue. As Remake founder Ayesha Barenblat once said to me in an interview, "[In Western countries], millennial designers are graduating from fashion schools, and simultaneously, on the other side of the world, millennial women are entering the garment industry. I saw a connection in the fact that globally, millennial women are starting their fashion careers from opposite sides of the supply chain." Fashion Revolution Day is a good time to re-think your shopping habits. See my previous blog post here for conscious consumer tips. For those in the industry looking to promote a supply chain that empowers women, see my interview with the Head of Gender Justice and Human Rights at the C&A Foundation on the United Nations site here, and see my speech at Madrid Fashion Week about how the fashion industry can participate in Gender Equality here. Learn more about the Fashion Revolution movement here. Newer PostI'm Heading to NYFW to Facilitate Sustainable Fashion Workshops with Remake! Older PostWhat Does Gender Equality Have To Do With the Fashion Industry? Everything.